As the capital markets were digesting a mixed salad of corporate earnings on Tuesday, there have been some notable entrees investors have been feasting on thus far in 2019. For exchange-traded fund (ETF) investors, the SPDR S&P 500 ETF (NYSEArca: SPY) has been a dietary staple for many years. After posting $4.1 billion of outflows during the first quarter, SPY, the largest ETF that tracks the S&P 500, attracted more than $5.3 billion of inflows to start the second quarter. It’s a trend that manages to keep persisting, but why the continuous appetite for SPY? Being the biggest also allows it to be the most liquid so investors are never hard pressed for volume when looking to buy or sell SPY. For traders, it means they can get in and out with ease. The underlying macro trend in SPY highlights the propensity for ETF investors to remain resilient in the current market landscape. Last year, ETFs received $314 billion worth of inflows despite a challenging 2018–a drop from the $466 billion the previous year, but given the challenges of 2018, an impressive figure nonetheless. Compare that to mutual funds, which have been trailing ETFs in terms of organic growth rate, the estimated net flow over a period divided by beginning net assets, within the last 10 years according to Morningstar. In fact, the average 10-year growth rate over ETFs is 16 percent versus the paltry 2 percent for mutual funds. Thus far this year, ETF inflows have managed to accumulate over $70 billion. “It says that ETF investors are still confident in the market,” Lydon said. 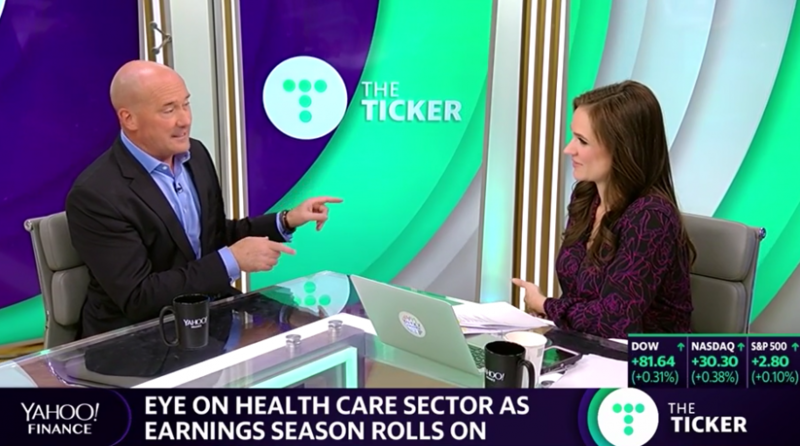 Uncertainty and skepticism are a cause of sickness in the tried-and-true health care sector, which has been the worst performer in the S&P 500 thus far in 2019–the S&P is up 16.6 percent year-to-date while the sector representative via the Health Care Select Sector SPDR ETF (NYSEArca: XLV) is up just 4.6 percent. Johnson & Johnson, one of the large health care darlings, saw its first-quarter profits drop 14 percent after reporting earnings on Tuesday. However, one corner of the health care industry that has been thriving is biotechs. The biotech space has been fueled by a spate of mergers as of late, including Bristol-Myers Squibb offering $74 billion to take over Celgene–a deal that could allow Bristol to become a top five pharmaceutical giant. In addition, Eli Lilly offered $8 billion to purchase Loxo Oncology. “There’s been a spillover effect into the biotechs,” said Lydon. “They’ve actually been throwing the baby out with the bathwater there. It’s a completely different setup–it’s pro growth, a lot of M&A that’s going on. If you’re looking for opportunities, I think look to biotech right now because some are on sale,” added Lydon. ETFs to take advantage of biotechs are the iShares Nasdaq Biotechnology ETF (NasdaqGM: IBB) and SPDR S&P Biotech ETF (NYSEArca: XBI). While most investors might have been driven away by the red prices in emerging markets (EM) during much of 2018, savvy investors who were quick to see the opportunity viewed EM as a substantial markdown. From a fundamental standpoint, low price-to-earnings ratios in emerging markets ETFs have made them prime value plays as capital inflows continue. Given its status as the second largest economy in the world, emerging markets exposure will typically tilt to China. Lydon recommends the iShares FTSE/Xinhua China 25 Index Fund (FXI) for investors wanting that broad-based exposure. 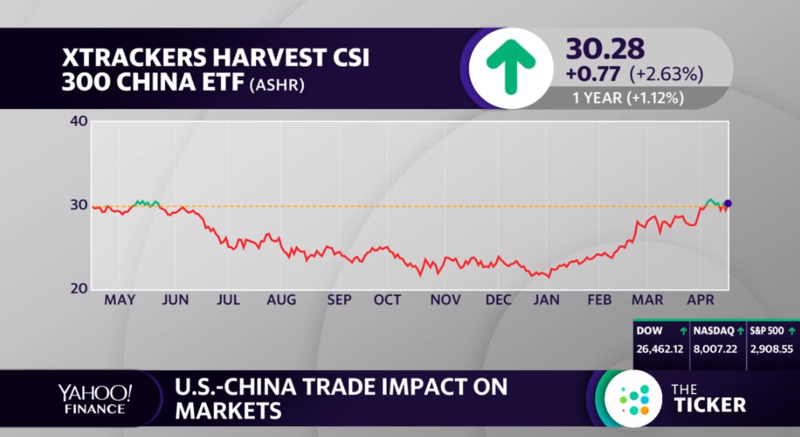 As an alternative, one ETF to consider is the Xtrackers Harvest CSI 300 China A ETF (NYSEArca: ASHR) as a way for investors to gain exposure to China’s biggest, best and most authentic equities via the country’s A-shares. Though the first quarter has seen U.S. equities reclaim their glory after a downtrodden fourth quarter in 2018, it’s not all sunshine and rainbows for all sectors moving forward. Cloudy forecasts could be ahead for areas, such as the financial sector and big names in tech. One only has to look back to the financial crisis 10 years ago to remember what happened to the financial sector. The big technology names like Apple and Microsoft may have had their final gasp of gains before a correction and Lydon suggests looking at smaller, more disruptive companies. These firms could be operating in nascent, forthcoming industries that are poised for disruption, such as robotics and artificial intelligence. “There are a lot of small and midcap technology stocks where you can get a lot less,” said Lydon.